The internet has significantly improved the business processes for a lot of companies. From making internal and external communication easier to creating a cheaper method for advertising and reaching thousands of potential new clients and investors, it has provided countless advantages for business. The reliance on online technology does have a few major downfalls however, with the very real threat and impact of cyber-attacks at the top of that list. Every few months there appears to be a huge breach of one business’ security, with 2014’s hacking scandal involving Sony one of the most recent prominent cases. As well as being highly newsworthy because of the content stolen (and subsequently released) from such a huge firm, this case carried the added effect of North Korea being accused of sponsoring the attack. It’s not just large companies under threat though. TNT look into the importance of protecting your company against cyber-attacks, no matter what its size. As the largest businesses have the greatest assets it is generally assumed that they are under the biggest threat from cyber criminals. Many mid-market companies also believe that those which deal with financial transactions are the only ones who will be targeted for attacks, so investing in cyber security holds less importance for other businesses. Using external platforms such as cloud services can also lead to naivety from some sectors in assuming the provider will prevent against security breaches. Not only are these all myths but they are being taken advantage of by many hackers. By assuming only larger companies need to have the best cyber security many are now targeting smaller businesses as they know their protection will be weaker. In 2014 around 31% of cyber-attacks were directed at companies with fewer than 250 employees. It’s not just financial based business that is at risk either, as there can be various motives behind attacks, from stealing data to pure sabotage and not just for financial reward. While cloud service providers usually have better protection than many SMEs, putting your data in the hands of another company presents a risk if they’re not entirely secure. 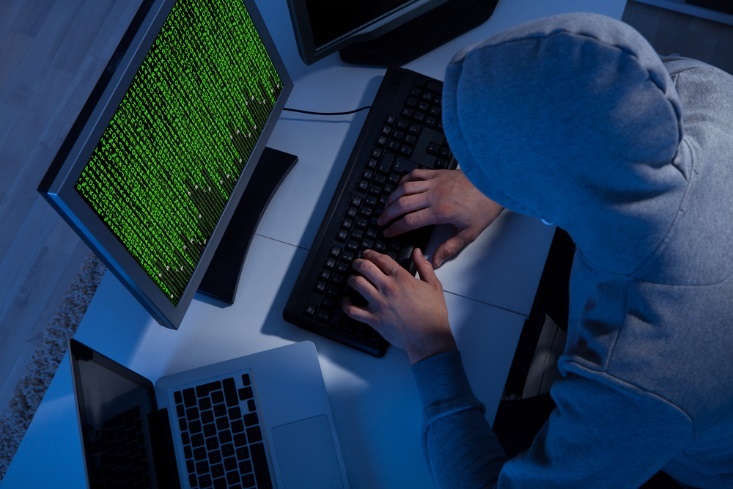 It is estimated that cyber-attacks cost UK businesses around £34 billion a year. This gigantic number includes the costs for attempting to prevent against attacks, the amount paid to repair any damage and how much revenue is lost due to it all. For every company this can be a significant blow but for smaller businesses the impact can be much more severe. Companies running on a tight profit margin can see this disappear overnight in the event of a successful cyber-attack and in the worst case scenarios it can be the end of the business. The amount spent investing in or upgrading cyber security technology is therefore definitely worth the expense. £34 billion is a rough estimate though as working out the exact cost of cyber-attacks is not so easy. The costs are not transparent with a number of factors involved. One of the reasons is many companies try to keep their losses and the fact they were victims of a hacking secret. This is for fear of the reputational damage it might incur, as customers are likely to be less trusting of a company which has been successfully hacked. This happened to Sony when their PlayStation network was hacked in 2011. As such a large company they overcame it but for SMEs attempting to build their reputation and interest new business this, along with financial loss, can be another huge blow. The importance of having a strong network security for your SME should be clear due to the highly damaging nature an attack will have. It’s therefore important to ensure you have top quality protection installed and take note of the following steps for the most effective results. Considering the reasons behind attackers targeting your company is a great way to implement effective cyber security. Some attacks will be random, taking an opportunist approach but the majority are now more specific. If you suffer an attack look at which areas came under fire, whether financial or information sectors, to develop a more effective defence. There are many more attacks nowadays so it can be almost impossible to stop every single one. Attempting to can use up a lot of time and resources so focusing on developing strategies to reduce the impact of cyber-attacks will prove more effective. Recognising that most attackers have a good chance of breaching some layers of online protection is important to reduce their impact but also highlighting the need to better secure the most important elements. Decide on your company’s most valuable assets and ensure they receive the greatest level of protection. Research and install cyber security software from the most trusted sources. Budget but don’t go for the cheapest option due to price as it’s likely to be easier to breach. Cyber criminals are developing craftier methods to attack businesses, with advanced bogus emails a common method. TNT are working hard with its customer services department to prevent such attacks. Finally, it is important to test out and challenge the systems you put in place to be 100% sure that your cyber security will be effective in the event of a real attack. Realise the importance and keep your SME as safe as possible by implementing such measures to protect against cyber hacking. This entry was posted in Small Business and tagged Bookmark the permalink.